A privateer was a private person or ship that engaged in maritime warfare under a commission of war. The commission, also known as a letter of marque, empowered the person to carry on all forms of hostility permissible at sea by the usages of war, including attacking foreign vessels during wartime and taking them as prizes. Captured ships were subject to condemnation and sale under prize law, with the proceeds divided between the privateer sponsors, shipowners, captains and crew. A percentage share usually went to the issuer of the commission. Since robbery under arms was common to seaborne trade, all merchant ships were already armed. During war, naval resources were auxiliary to operations on land so privateering was a way of subsidizing state power by mobilizing armed ships and sailors. Compare and contrast with state sponsored terrorism. Entrepreneurs converted many different types of vessels into privateers, including obsolete warships and refitted merchant ships. The investors would arm the vessels and recruit large crews, much larger than a merchantman or a naval vessel would carry, in order to crew the prizes they captured. Privateers generally cruised independently, but it was not unknown for them to form squadrons, or to co-operate with the regular navy. A number of privateers were part of the English fleet that opposed the Spanish Armada in 1588. Privateers generally avoided encounters with warships, as such encounters would be at best unprofitable. Still, such encounters did occur. For instance, in 1815 Chasseur encountered HMS St Lawrence, herself a former American privateer, mistaking her for a merchantman until too late; in this instance, the privateer prevailed. The practice dated to at least the 13th century but the word itself was coined sometime in the mid-17th century. England, and later the United Kingdom, used privateers to great effect and suffered much from other nations' privateering. During the 15th century, "piracy became an increasing problem and merchant communities such as Bristol began to resort to self-help, arming and equipping ships at their own expense to protect commerce." These privately owned merchant ships, licensed by the crown, could legitimately take vessels that were deemed pirates. This constituted a "revolution in naval strategy" and helped fill the need for protection that the current administration was unable to provide as it "lacked an institutional structure and coordinated finance." During Queen Elizabeth's reign, she "encouraged the development of this supplementary navy." Over the course of her rule, she had "allowed Anglo-Spanish relations to deteriorate" to the point where one could argue that a war with the Spanish was inevitable. By using privateers, if the Spanish were to take offense at the plundering of their ships, Queen Elizabeth could always deny she had anything to do with the actions of such independents. Some of the most famous privateers that later fought in the Anglo-Spanish War (1585–1604) included the Sea Dogs. Elizabeth was succeeded by the first Stuart monarchs, James I and Charles I, who did not permit privateering. There were a number of unilateral and bilateral declarations limiting privateering between 1785 and 1823. However, the breakthrough came in 1856 when the Declaration of Paris, signed by all major European powers, stated that "Privateering is and remains abolished". The USA did not sign because a stronger amendment, protecting all private property from capture at sea, was not accepted. 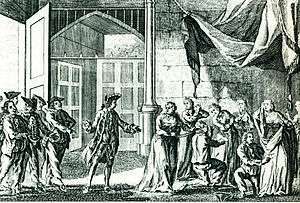 In the 19th century many nations passed laws forbidding their nationals from accepting commissions as privateers for other nations. The last major power to flirt with privateering was Prussia in the 1870 Franco-Prussian War, when Prussia announced the creation of a 'volunteer navy' of ships privately owned and manned and eligible for prize money. The only difference between this and privateering was that these volunteer ships were under the discipline of the regular navy. Privateers were a large part of the total military force at sea during the 17th and 18th centuries. In the first Anglo-Dutch War, English privateers attacked the trade on which the United Provinces entirely depended, capturing over 1,000 Dutch merchant ships. During the subsequent war with Spain, Spanish and Flemish privateers in the service of the Spanish Crown, including the notorious Dunkirkers, captured 1,500 English merchant ships, helping to restore Dutch international trade. 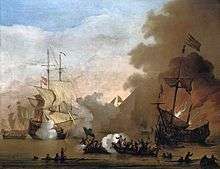 British trade, whether coastal, Atlantic, or Mediterranean, was also attacked by Dutch privateers and others in the Second and Third Anglo-Dutch wars. Sir George Clifford, 3rd Earl of Cumberland was a successful privateer against Spanish shipping in the Caribbean. He is also famous for his short-lived 1598 capture of Fort San Felipe del Morro, the citadel protecting San Juan, Puerto Rico. 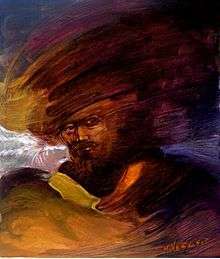 He arrived in Puerto Rico on June 15, 1598, but by November of that year Clifford and his men had fled the island due to fierce civilian resistance. He gained sufficient prestige from his naval exploits to be named the official Champion of Queen Elizabeth I. Clifford became extremely wealthy through his buccaneering, but lost most of his money gambling on horse races. Captain Christopher Newport led more attacks on Spanish shipping and settlements than any other English privateer. As a young man, Newport sailed with Sir Francis Drake in the attack on the Spanish fleet at Cadiz and participated in England’s defeat of the Spanish Armada. During the war with Spain, Newport seized fortunes of Spanish and Portuguese treasure in fierce sea battles in the West Indies as a privateer for Queen Elizabeth I. In 1592, Newport captured the Portuguese carrack Madre de Deus (Mother of God), valued at £500,000. When Spain issued a decree blocking foreign countries from trading, selling or buying merchandise in its Caribbean colonies, the entire region became engulfed in a power struggle among the naval superpowers. The newly independent United States later became involved in this scenario, complicating the conflict. As a consequence, Spain increased the issuing of privateering contracts. These contracts allowed an income option to the inhabitants of these colonies that were not related to the Spanish conquistadores. The most notable example is Miguel Enríquez, a Puerto Rican mulatto who abandoned his work as a shoemaker to work as a privateer. Such was the success of Enríquez, that he became one of the wealthiest men in the New World. His fleet was composed of approx. 300 different ships during a career that expanded 35 years, becoming a military asset and reportedly outperforming the efficiency of the Armada de Barlovento. Enríquez was knighted and received the title of Don from Philip V, something unheard of due to his ethnic and social background. One of the most famous privateers from mainland Spain was Amaro Pargo. The English colony of Bermuda (or the Somers Isles), settled accidentally in 1609, was used as a base for English privateers from the time it officially became part of the territory of the Virginia Company in 1612. Many Bermudians were employed as crew aboard privateers throughout the century, although the colony was primarily devoted to farming cash crops 'til turning from its failed agricultural economy to the sea after the 1684 dissolution of the Somers Isles Company (a spin-off of the Virginia Company which had overseen the colony since 1615). With a total area of 54 square kilometres (21 sq mi) and lacking any natural resources other than the Bermuda cedar, the colonists applied themselves fully to the maritime trades, developing the speedy Bermuda sloop, which was well suited both to commerce and to commerce raiding. Bermudian merchant vessels turned to privateering at every opportunity in the 18th century, preying on the shipping of Spain, France, and other nations during a series of wars, including: the 1688 to 1697 Nine Years' War (King William's War); the 1702 to 1713 Queen Anne's War; the 1739 to 1748 War of Jenkins' Ear; the 1740 to 1748 War of the Austrian Succession (King George's War); the 1754 to 1763 Seven Years' War (known in the United States as the French and Indian War, this conflict was devastating for the colony's merchant fleet. Fifteen privateers operated from Bermuda during the war, but losses exceeded captures); the 1775 to 1783 American War of Independence; and the 1796 to 1808 Anglo-Spanish War. By the middle of the 18th century, Bermuda was sending twice as many privateers to sea as any of the continental colonies. They typically left Bermuda with very large crews. This advantage in manpower was vital in overpowering the crews of larger vessels, which themselves often lacked sufficient crewmembers to put up a strong defence. The extra crewmen were also useful as prize crews for returning captured vessels. Bermuda was in de facto control of the Turks Islands, with their lucrative salt industry, from the late 17th century to the early 19th. The Bahamas made perpetual attempts to claim the Turks for itself. On several occasions, this involved seizing the vessels of Bermudian salt traders. A virtual state of war was said to exist between Bermudian and Bahamian vessels for much of the 18th century. When the Bermudian sloop Seaflower was seized by the Bahamians in 1701, the response of the Governor of Bermuda Governor, Captain Benjamin Bennett, was to issue letters of marque to Bermudian vessels. 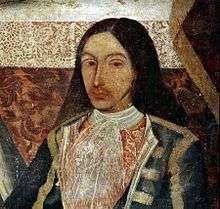 In 1706, Spanish and French forces ousted the Bermudians, but were driven out themselves three years later by the Bermudian privateer Captain Lewis Middleton. 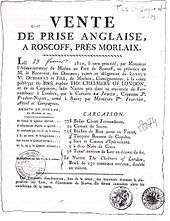 His ship, the Rose, attacked a Spanish and a French privateer holding a captive English vessel. Defeating the two enemy vessels, the Rose then cleared out the thirty-man garrison left by the Spanish and French. 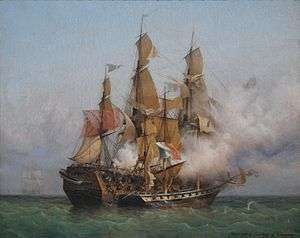 Despite strong sentiments in support of the rebels, especially in the early stages, Bermudian privateers turned as aggressively on American shipping during the American War of Independence. The importance of privateering to the Bermudian economy had been increased not only by the loss of most of Bermuda's continental trade, but also by the Palliser Act, which forbade Bermudian vessels from fishing the Grand Banks. Bermudian trade with the rebellious American colonies actually carried on throughout the war. 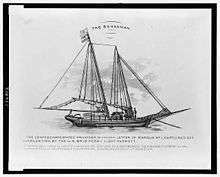 Some historians credit the large number of Bermuda sloops (reckoned at over a thousand) built in Bermuda as privateers and sold illegally to the Americans as enabling the rebellious colonies to win their independence. 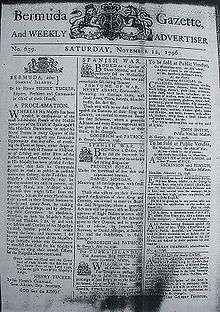 Also, the Americans were dependent on Turks salt, and one hundred barrels of gunpowder were stolen from a Bermudian magazine and supplied to the rebels at the request of George Washington, in exchange for which the Continental Congress authorised the sale of supplies to Bermuda, which was dependent on American produce. The realities of this interdependence did nothing to dampen the enthusiasm with which Bermudian privateers turned on their erstwhile countrymen. 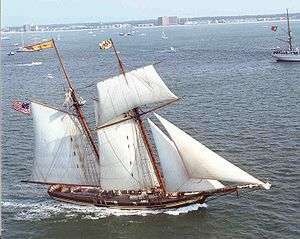 Pride of Baltimore II, replica United States topsail schooner, favored by privateers for its speed and ability to sail close to the wind. American privateers are thought to have seized up to 300 British ships during the war. One of the more successful of these ships was the Prince de Neufchatel, which once captured nine British prizes in swift succession in the English Channel. The British ship Jack was captured and turned into an American privateer, only to be captured again by the British in the naval battle off Halifax, Nova Scotia. American privateers not only fought naval battles but also raided numerous communities in British colonies, such as the Raid on Lunenburg, Nova Scotia (1782). During the War of 1812, the British attacked Essex, Connecticut, and burned the ships in the harbor, due to the construction there of a number of privateers. This was the greatest financial loss of the entire War of 1812 suffered by the Americans. 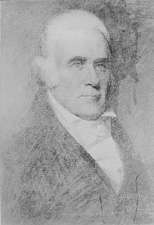 However, the private fleet of James De Wolf, which sailed under the flag of the American government in 1812, was most likely a key factor in the naval campaign of the war. De Wolf's ship, the Yankee, was possibly the most financially successful ship of the war. Privateers proved to be far more successful than their US Navy counterparts, claiming three quarters of the 1600 British merchant ships taken during the war (although a third of these were recaptured prior to making landfall). Whilst apparently successful the privateer campaign was ultimately a failure. British convoy systems honed during the Napoleonic Wars limited losses to singleton ships, and the effective blockade of American and continental ports prevented captured ships being taken in for sale. This ultimately led to orders forbidding US privateers from attempting to bring their prizes in to port, with captured ships instead having to be burnt. Over 200 American privateer ships were captured by the Royal Navy, many of which were turned on their former owners and used by the British blockading forces. The US was not one of the initial signatories of the 1856 Declaration of Paris which outlawed privateering, and the Confederate Constitution authorized use of privateers. However, the USA did offer to adopt the terms of the Declaration during the American Civil War, when the Confederates sent several privateers to sea before putting their main effort in the more effective commissioned raiders. No letter of marque has been legitimately issued by the United States since the 19th century. The status of submarine hunting Goodyear airships in the early days of the second world war has created significant confusion. According to one story, the United States Navy issued a Letter of Marque to the Airship Resolute on the West Coast of the United States at the beginning of World War II, making it the first time the US Navy commissioned a privateer since the War of 1812. However, this story, along with various other accounts referring to the airships Resolute and Volunteer as operating under a "privateer status", is highly dubious. Since neither the Congress nor the President appears to have authorized a privateer during the war, the Navy would not have had the authority to do so by itself. ↑ Thomson, Janice E (1994). Mercenaries, pirates and sovereigns. New Jersey, United States: Princeton University Press. pp. 310/3153. ↑ Rodger, N.A.M (2014). "The law and language of private naval warfare". The Mariner's Mirror. 100 (1). 1 2 3 Privateering and the Private Production of Naval Power, Gary M. Anderson and Adam Gifford Jr.
1 2 3 Carmen Dolores Trelles (1991-01-09). "En busca de Cofresí" (in Spanish). El Nuevo Día. Retrieved 2013-11-12. ↑ Maritimes: The Magazine of the Bermuda Maritime Museum. 2002. Vol. 15, No. 2. "Foreign Interlopers at Bermuda's Turks Islands", by Dr. Bill Cooke. ↑ Bermudiana, by Ronald John Williams. Rinehart & Company, Inc., 1946. ↑ Maritime Masters and Seafaring Slaves in Bermuda, 1680–1783, by Michael J. Jarvis. The Jefferson Library. ↑ Latimer 2009, p. 85-86. ↑ Latimer 2009, p. 86. ↑ Latimer 2009, p. 83. ↑ Latimer 2009, p. 89-90. ↑ Kupperman 1993, pp. 242–243. ↑ Conquista de la Isla de Santa Catalina. ↑ Hamshere 1972, p. 48-49. ↑ Latimer 2009, p. 90. 1 2 3 Latimer 2009, p. 90-91. ↑ Hamshere 1972, p. 49. ↑ Kupperman 1993, p. 250. ↑ Cassar, Paul (January–March 1963). "The Maltese Corsairs and the Order of St. John of Jerusalem" (PDF). Scientia. 29 (1): 26–41. Archived from the original (PDF) on 3 February 2016. ↑ Carabott, Sarah (2 February 2016). "A history of plundering on high seas". Times of Malta. Archived from the original on 3 February 2016. ↑ Oren, Michael B. (2005-11-03). "The Middle East and the Making of the United States, 1776 to 1815". Retrieved 2007-02-18. ↑ Ramsay (1996), p. 62. ↑ Ramsay (1996), p. 69. ↑ Ramsay (1996), p. 70. ↑ Ramsay (1996), p. 71. ↑ Ramsay (1996), p. 77. ↑ Ramsay (1996), p. 82. Coulter , Ellis Merton (1950). The Confederate States of America, 1861–1865. Faye Kert, Prize and Prejudice Privateering and Naval Prize in Atlantic Canada in the War of 1812. Research in maritime history, no. 11. St. John's, Nfld: International Maritime Economic History Association, 1997. Goose Lane Editions, Fredericton, NB2011. Ross, Nicholas, "The Provision of Naval Defense in the Early American Republic: A Comparison of the U.S. Navy and Privateers, 1789–1815." The Independent Review 16, no. 3 (Winter), 2011. Lemnitzer, Jan (2014), Power, Law and the End of Privateering. The Library of Economics & Liberty: PRIVATEERING – 1899 Encyclopaedia entry. American Privateers in The War Of 1812 Investigates the myths and facts behind a sea battle which some sources contend changed the course of the War of 1812 and the future of America. Includes an extensive examination of the legal and tactical aspects of privateering.